(1) Does anyone remember what issue he actually reveals he is GL to Carol? I'm apparently not as noble (or maybe determined) as Hal because if the girl of my dreams revealed she was in love with my superhero alter ego, it would take about a second for me to reveal it to her. (2) Jim Jordan's girlfriend (then wife), Sue, and her insistence that Jim is GL is soooo annoying. Hal clearly should have fixed this mistake lest something bad had happened (heck she jumps off a roof in her first appearance because of it). 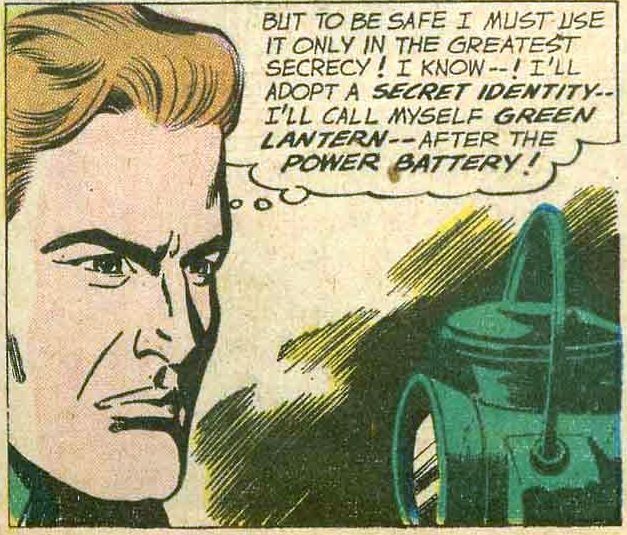 (3) Which leads to my other question ... if you were a GL, would you keep your real identity secret? Who would you let know? Personally, I think letting your family (like Hal's brothers) know is a no-brainer because (a) they deserve to know it was Hal if GL was seriously hurt or killed; and (b) they'd be at least a little prepared should some baddie find out and attack them. Last edited by Space Cop; 09-21-2014 at 10:59 AM. I'm pretty sure that Hal first revealed his secret ID to Carol in the initial GL/GA run (or at least I think that was the first time it "stuck". I wouldn't be surprised if there was at least one instance, and possibly more, of him doing so before that and it being undone by the end of the story). I'd have a secret ID not so much for the safety of my loved ones (not sure that would really make them all that much safer, really), but so that I wouldn't be getting bugged by people all day, every day. So yeah, I'd let my loved ones know (I don't see how I'd keep it secret from my wife without being a huge liar to her all the time, thus violating the trust that a marriage requires). Thanks to whatever mod that fixed the title. I'm pretty sure that Hal first revealed his secret ID to Carol in the initial GL/GA run (or at least I think that was the first time it "stuck". .. .
That late, huh? I can't recall ever reading him actually telling her but I've read many stories without her knowing and then many more with her knowing. I seem to recall it being at a point when she either was in a wheelchair, or had recently gotten out of a wheelchair. Prior to that I think he had at least revealed his identity to her when she was Star Sapphire once (which of course she forgot when she went back to being Carol), but that's just a vague impression. The issue you're remembering is Green Lantern/Green Arrow #83. 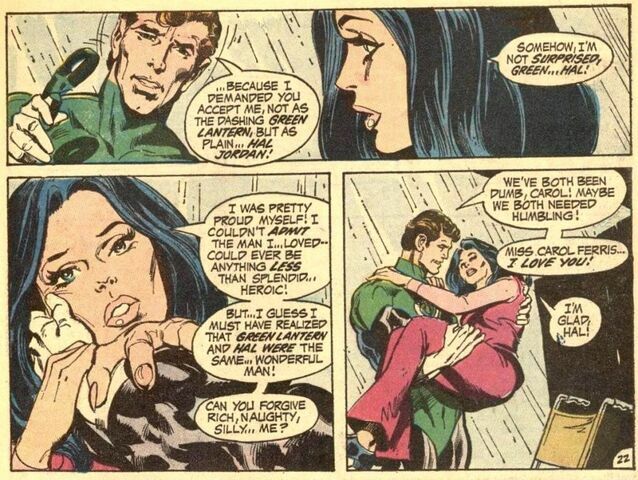 Hal reveals his identity to Carol Ferris for real there and it stuck. Man, think of all the times they've rebooted Superman; his parents are alive, dead, alive, dead. Superman's with Lois, not, with, not, etc. Hal revealed his GL identity to Carol in 1971, and she's known it ever since! That was me. I couldn't let you embarrass yourself like that! 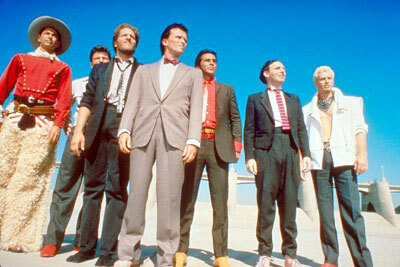 Thanks, BDD. You're a life saver twice over. I'm going to pull and re-read that issue. I'm trying to restart the book club with this issue, but we'll see. I'm ashamed that I didn't even know this. Then again, to be fair, I wasn't born yet. Were I a GL, I'd keep my identity secret. Not only would your friends and family be in constant potential danger, you'd never get a moments peace. The paparazzi would be all but camped out at your place, and anyone with an axe to grind could put everyone in harm's way that lived near you. I'm ashamed that I didn't even know this. Then again, to be fair, I wasn't born yet. . .
You and me both! I've read this issue more than once and I've been a GL fan for almost 30 years but I couldn't remember this. It's still hard to believe that Hal had been around for almost a dozen years and 83 issues of his own mag before he reveals his identity to his true love. You still haven't told your old lady you like to dress up as Mrs Doubtfire when she's at work? Revealing identity to a "true love" just didn't happen back then. Ray Palmer didn't tell Jean Loring (and have it "stick") until the night before their wedding. Barry Allen kept it from Iris West for a year, then told her, then she revealed she'd known all along because he talked in his sleep. Recall too that GL #83 was not that long after the first of the big super-hero weddings, which was (shock!) Aquaman and Mera. No, part of the inherited tension of the Silver Age was carry-over from the Secret Hearts/Young Love "romance" genre of comic. We girls ate it up, because we were in on the secret, and thought the leading ladies were super-dumb because they let that skinny little green mask fool them. Now that you've finished #83, look at the opening panels of #84. And imagine, if you will, the torrid three weeks that followed. Mmm hmm. Fruit for fan fiction, that. Shame Hal couldn't wife Carol after revealing his secret identity. The marriage thing. It came up several times after that. In retrospect with what DC and Marvel have done to Superman, Aquaman, Elongated Man, Spiderman, Barry and Wally...thank goodness they never DID have Hal and Carol get married. It would have been undone eventually, and sloppily. For Green Lanterns, it doesn't seem to work anyway.Being that's the case, let's hook up Sinestro with Lyssa Drax, that's an interesting pair.